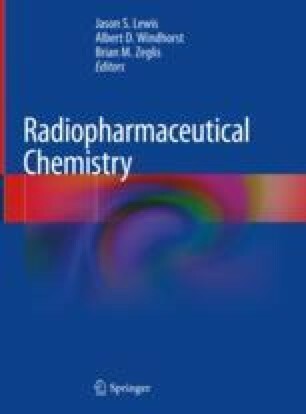 When harnessing radiometals for medical applications, both the aqueous chemistry of the metal ion (e.g. its coordination number, Lewis acidity, solvent activation, pKa) and the properties of the chelator (e.g. donor atoms, denticity, charge, polarity) should be carefully considered to ensure the stable in vivo sequestration of the radionuclide. The decay properties of the radiometal—including its radioactive half-life as well as the type, yield, and energy of its emissions—must also be matched to the biomolecular vector as well as the intended medical application. The most medically relevant radionuclides of lutetium and yttrium are lutetium-177 ([177Lu]Lu3+), yttrium-86 ([86Y]Y3+), and yttrium-90 ([90Y]Y3+). In this chapter, we will discuss the radioactive properties of these nuclides as well as their fundamental coordination chemistry. In addition, we will address the most effective chelators for each radiometal, the biological factors relating to their use in medicine, prominent examples of 177Lu- and 86/90Y-labeled radiopharmaceuticals, potential pitfalls in their use, and tips for radiolabeling with these radionuclides.